Get ready to get All Shook Up as world renowned Elvis performer, Chris Connor, brings The World Famous Elvis Show to Potters on Sunday 3rd March 2019 on a one night Norfolk break. With his natural look which astounds many fans of his likeness to Elvis, along with his Elvis tone, and authentic energetic moves, Chris Connor is a must see for any Elvis fan and his show celebrates the King of Rock n Roll and his incredible music, with record sales of over one billion worldwide. 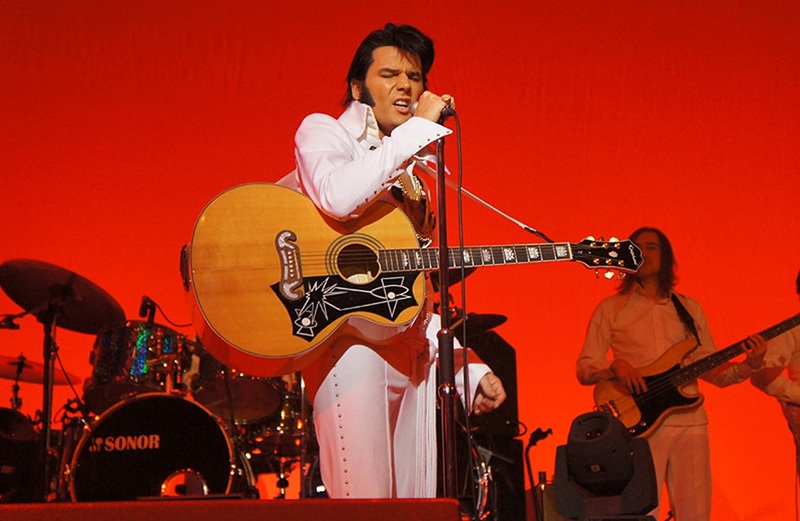 Get ready to take a trip to Memphis and back with the ‘World’s best Elvis’, as voted for by fans around the world! All Shook Up - The song remained at the top of Billboard's pop chart for nine weeks, and it stayed on the chart for 30 weeks - the longest of any Elvis single. Otis Blackwell wrote the song at the offices of Shalimar Music in 1956 after Al Stanton, one of Shalimar's owners, shook a bottle of drink and suggested he write a song based on the phrase All Shook Up. Plus who can forget hits like Suspicious Minds, Always on my Mind, Blue Suede Shoes, Burning Love, Hound Dog, Heartbreak Hotel, Love Me Tender, Viva Las Vegas and lots more!